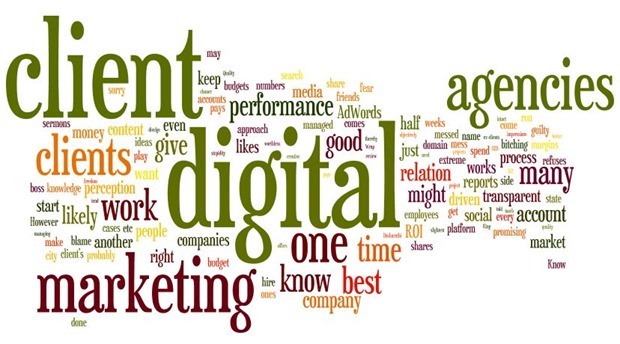 The relation between a client and digital marketing agency takes time to mature. A patient, nimble client can go long way in strengthening this relation. Whereas there are several factors that can destroy this relation, and impact the client’s perception of digital marketing. In a market condition such as the one that we are in today, half of agencies’ efforts go in client education, client handling etc. There is one extreme of clients who feel that Google is fraud. And then there is the other extreme that gives its agency the freedom to experiment with budgets and ideas and generally encourage performance. Such breed is rare. They know that digital works. Majority of clients are somewhere in between. They know that digital works. That it pays to spend and be present on digital. At the same time, they fear the untested ideas. They want to play it secure, – give me likes, give me shares but ALSO give me ROI. “Arey leads nahi mile bhai, kya karte ho tum!” Bam goes the agency out of the door, is replaced with another one. How do you know that you are not good as a client? You mess up your first digital agencies’ work through whims and half-knowledge driven demands about cost per lead/ likes/ impressions and then adopt a careful cautious approach to mess up work of another one. That’s how you know that you have messed up as a client of digital marketing agency. Even though this is just one example, deliberating more on this subject can be done another time. We are here to talk about the client-agency relation. 0.1 How does a client usually decide which agency to go for? 0.3 What about the good digital agencies? The performance based ones. 0.4 It is not the agency, it is their talent pool. 1 Wrap up about client – agency relations. How does a client usually decide which agency to go for? As a digital marketing agency, you might probably be interested in taking a peek inside the mind of a client in pre-sales process. There are probably not many agencies in your city that are well known. Usually, agency shortlisting process would take anywhere between 2 weeks to 4 weeks of time from the moment they start thinking about one. It depends on scope of work, how tedious is a client side approval process, political considerations at client side and then the actual time taken to shortlist a vendor agency. Some clients prefer people that they know about. If a manager from a client personally knows and has comfort level with an agency, that agency will most likely be recommended – however dispassionately or objectively it might be done, this outcome is more likely. In many cases it can be perception driven – many companies want to speak with agencies that have niche strength in their industry domain and drive up the chances of giving such agency a project – pros & cons of this later. Some client’s decisions are driven by numbers – biggest agency, managed accounts with 5 cr budget, managed large size projects and some other benchmarks. If such numbers are true about your agency, would you say it guarantees performance? No. But, it does count heavily in some cases. Some companies go with the at-least-3-quotes approach. And go for the least priced one – thereby sticking to the adage “if you throw peanuts you get monkeys”. But most of you would ask your friends and search on LinkedIn. So the search terms could go as best digital marketing agency “city”, best social media agency etc. However, many digital marketing agencies are to blame for the sorry state of perception that companies have about digital marketing agencies. How many of your clients, ex-clients or friends have told you about times when they have had a terrible digital marketing agency? Know of agencies that messed up accounts and blew up money with no ROI, no access to MCC account, no reports, or no reporting? Ring any bells? It’s an acceptable premise when an agency refuses to divulge strategy to a client. You would not give away your bread and butter. But it is a nonsense argument when a digital marketing agency refuses to share AdWords reports or spend reports with client. There have been instances when digital marketing agencies lied to clients about having spent entire allocated budget, when in fact AdWords account had balance amounts. That is why it is important to keep intact your impression as a transparent player in the market. There have been clients who have been ripped off money in the name of likes, shares, posts and what not stupidity – all in the name of social media management. So the next time a client is cringy, please spare thoughts for them and pray for forgiveness after bitching about clients. Now don’t look around, you are guilty as charged of bitching about clients. Ok, so you are not. Freelancers have their share in this blame too. What about the good digital agencies? The performance based ones. Well, if your agency falls in this category, good for you! Your boss, your company is most likely – and rightfully so – one of the good guys when it comes to digital. Have you come across clients who have burns and bruises? Then your company may just be the healing touch that they need. Your company will most likely give good ROI to client and hangout for a beer with them sometimes, even if you don’t become BFFs. Which agency should a client choose? None of the agencies can boast super specialty muscles in every domain and each platform; you know digital changes too fast for any company to keep up with all platforms. If you could hire one for B2B social media, the same agency might be worthless when it comes to AdWords. You might want to go for a third one if you also have B2C content requirement. It is not the agency, it is their talent pool. Does your agency respect its employees? How often does your boss run over to you and deliver sermons after sermons about performance and what not? If only he/she could be more respectful or considerate. I am not going all out for employee rights here, but many agencies would right now be earning a lot more only if they treated their employees better and not make their star performers seek finer shores. If an agency can employ the best in all, then only it can be considered the best is all. But that’s hardly the case with anyone. Not even with the largest ones. So, as a client you should go for that agency, which offers best services in the platform best suited for you. However, there are agencies that play the shorthand. All the parties and people in digital, are guilty of over promising (credit – Avinash Kaushik). And in over promising, they tend to undercut budgets. This is seemingly harmless, but this is the main reason for encouraging cutting of corners. Quality work in digital is almost directly proportional to margins that an agency is able to maintain. When margins get impacted, so does quality of work. There may be exceptions in the market, but that’s about it. The worst nightmare of a digital marketer; micro managing client. They have half the knowledge that you have, but go all over your account even at the slightest chance. They will change account structure and AFTER that inform you. They will call your content flowery and will review each and every content that you come up with. Beware of such people. You cannot ignore them. So, put down your foot right at the start of your engagement. I don’t have to tell you how to do that, you will figure out after all. Wrap up about client – agency relations. Better be transparent, performance oriented. When your client loses money, it’s not just him. Lay down the expectations right from start. If you are an agency owner, don’t go all gaga about it in sales meetings. Build your reputation as leading employer. If you hire a freelancer, make sure the commitments are laid down explicitly. Don’t go all over the agency and run them down with half baked knowledge. Let them do their work. And if the agency doesn’t perform, fire it. But don’t you go meddling with a hammer. If you work at an agency that is not transparent, find some other agency. Know that digital works. It pays to keep your eyes open, learn and educate yourself about it. Good to see the objective and the digital marketing strategies to be followed and i would like toa dd few more to it. Assses your Objective, measure your Kpi’s, Asses your resources and Review the Goals and If the objective is a failure try to cancell it and check for the new one’s , instead of cancelling it directly and make an audit for the failure and cope up with the digital strategies. At http://xpedientdigital.in/ we do the same :).